My username came out of making an original name that suited me and had a similar ring to the name of a guild I saw while playing WoW called <Strawberry Puppy Kisses> and I thought that was totally rad. "Joshmon is taken, try Thejoshmon, Thejoshmon is taken try MrThejoshmon, thanks for signing up to YouTube MrThejoshmon!" It was a dumb name for YouTube by a young dumb teen back in 2010, it just kinda stuck with me and kept going. 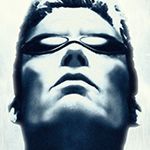 My avatar is different everywhere I go, this one is of JC Denton from Deus Ex because I love that game and I really like the whole shades look he's got going. 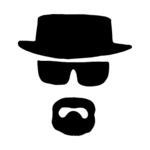 Well I went through a lot of usernames and avatars, before I decided on this one, thinking it was simple, memorable, kickass and most importantly, (semi) original (some Minecraft guy took the same nick for his pvp server competition thingy). It was changed however, as I am kinda afraid of the copyright issues Nintendo likes to shell out, so I just swapped some letters, turning "Battle Kirby" into "Battle Korbi". 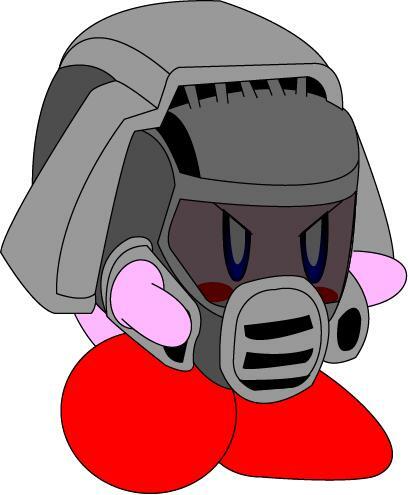 With regards to my avatar, it was based on the concept of Kirby wearing Doomguy's helmet. Turns out, someone already took and made that concept into a thing. 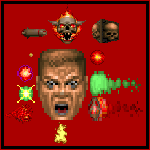 So I expanded onto it further, from the pixel art variation, the cartoony variation, and now, the Doom 2016 variation. The guns around the avatar can each tell their stories, but I will keep it simple: automated assault rifle, regular assault rifle held in hands, a laser spear hanging from the left, and the super shotgun and the semi-automatic rocket launcher from Doom3 at your right. 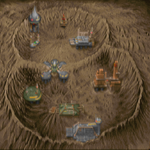 I kinda wanna make this set a gameplay mod for myself, but dunno Doom modding enough. Either way, thats it. I like the name Joe, but it's already taken, so I just added my name to it. Avatar is a Doom variation of the Commander Keen help screen, I'm thinking about changing it soon though. Well the name is actually from a cartoon character, but I liked it at the time and consequently, I started using it, eventually becoming the "standard" for the forums I'm spending my time on, and it has another meaning to me, sort of. The avatar on the other hand has no story behind it. I change them periodically and usually picking up one that is more or less representative or says something about myself, in this case, that I'm a MK fan, especially of the first arcade games. Ava origin is literally written under my ava. I needed a new nickname because my old one was a$$, so I came up with "AnonymousViolence" and then shortened it down. I change avatars every 3 seconds but my first one on this account was a poorly drawn version of myself. I wanted to create a name that didn't exist, like they do in fantasy novels. Unfortunately for me I was too stupid to do a quick internet search, or else I would have found Vordak with one "k". So yeah, the name has no meaning whatsoever. The avatar should be obvious. TOS is just the acronym from my previous username, which was just my actual real life nickname with "Of Spades" after it because Ace Of Spades is a song by Motorhead...so TraceOfSpades was born. Then I shortened to make my name here less connected to my outside life. The avatar is just an animation I made that people on here seemed to like as much as I did, so I always kept it. Cacodemon spins then screams. Simple but effective.